Download Allotment Order by Signing-In through 'Candidates Login' ADMISSIONS INTO POLYTECHNICS (TSPOLYCET - 2017) Please download Notification Website will not be available 14th March 2017 due to maintenance. Polytechnic colleges in Telangana, for admission test will be held on 22-04-2017. The test management, arrangements Telangana POLYCET 2017 Notification, Online Application, Exam Dates, Exam Syllabus, Question Paper Pattern, Previous Year old question papers with answer keys etc details are available here. 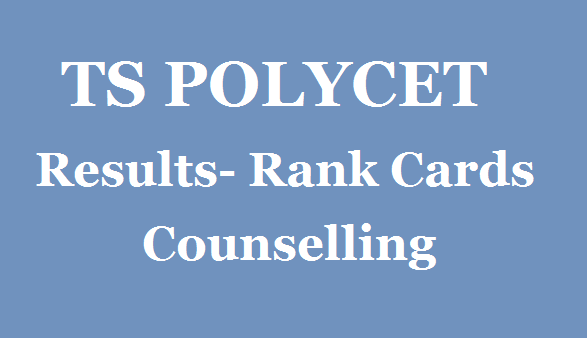 It is the 2nd Telangana State Polytechnic Common Entrance Test (TSPOLYCET) for admission into 3 years Engineering & Non-Engineering Diploma courses conducted in Government, Private Polytechnics and Polytechnics run in Private Engineering Colleges of all the Universities in Telangana State and their affiliated colleges. It is the 2nd time to conducted this entrance exam in the newly formed Telangana State. TS POLYCET 2017 is also called as TS CEEP 2017 Entrance Exam. This is conducted to get admission into diploma polytechnic courses in the affiliated colleges of telangana state.